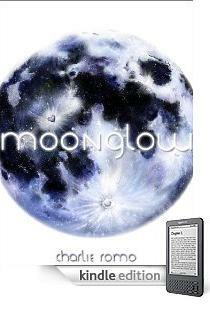 This is a review of Moonglow by Charlie Romo, a self-published story about fashion and lesbians, set in the futuristic city of Moonglow. It is available in ebook only, so I had to read it on the computer (and suddenly I am seriously interested in buying a Kindle). If you like reading fashion magazines and endless descriptions of beautiful people, you'll probably enjoy this book. It's fashionista wish-fullfilment, and that it does well. And - possibly reflecting all the stereotypes of fashion - most of the characters appear to be gay. It's certainly treated as normal in the limited society of the plot. It's about Rena - a young (and gorgeous) model, and her older lover Shell (who could have been a model but manages them instead). Shell's employer is dying and wants to leave everything to her, and Rena is making eyes at a new girl, much to the frustration of that girl's best friend. Everyone is famous, everyone is perfect in some way, and when they aren't rubbing elbows with each other on the runway or parties, then they're rubbing elbows reaching for drinks or while doing drugs. 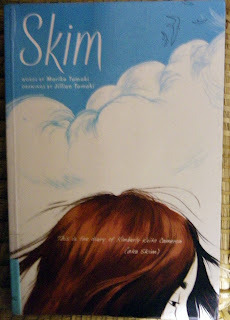 Skim is a YA graphic novel by the cousins Mariko (writer) & Jillian Tamaki (artist). It's an authentic coming of age story that has helped strike another blow for graphic novels being considered as 'real' literature. Skim is the nickname of Kimberly Keiko Cameron, and halfway through the book, she falls in love with one of her teachers. Skim is based in Catholic Girls High School in Toronto and set in the 1990s. However, while Skim was nominated for an impressive range of awards (see end of , I didn't really enjoy it. I can see that it would be a hugely valuable addition to a school library and offers something real and different to teens, so I think a lot of my unenthralled response is personal preference. Amazon reviewers seem to uniformly love it, certainly. The book is fairly short, is a bit depressing , and feels slightly contentless (possibly because it's short, and we just trail along behind Skim), but it does touch on a few important topics, mostly LGBT issues and suicide. There's no really joy, and the main character is pretty miserable most of the time, but life lessons are learned and some of the characters come out better people at the end. Goldenseal by Gill McKnight is a fairly standard, but quite interesting, fantasy romance. It follows the reutrn of Amy, a botanic artist, to the valley of Little Dip and the clan that she more or less grew up with. Her aunt, Connie - her mentor and adopted parent, was the partner of the matriarch of the Garoul clan, Marie. Sadly Connie has had some kind of breakdown, and the family needs someone to finish some illustrations for their Almanac. And from the moment she arrives in the hunting season, her childhood friend and teenage love is dogging her steps and trying to control her, and keep her safe - in the valley she supposedly grew up in. Of course, it turns out to be not so safe, Leone never stops being controlling until its almost too late, and Connie didn't really have a breakdown. 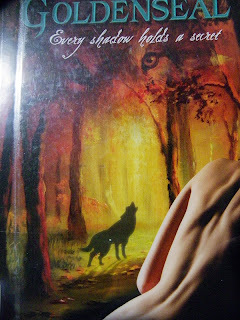 It follows the same formula of werewolves keeping their secret, and the hapless human romantic interest in their midst (an image of a wolf on the cover and the surname 'Garou', as in loup garou, meant that I was seeing werewolves from the moment Leone and her kin appeared). But it turns out that some of the secrets Amy discovers, really were news to her hosts.